The trip was long and I was about to find out what jet lag was all about. Somewhere, in mid air, Sunday had slipped into Monday morning and breakfast was being served on the plane. I was anxious to see the country that my great grandparents had left slightly more that 100 years ago. We gathered our suitcases and grabbed a cab to head into downtown Brussels and the hotel. The hotel that I would stay in was built 4 years after my great grandparents had left Europe. It was a beautiful building within walking distance of the Grand Place, Grote Markt – Market Square, where in the 12th century Brussels had become a commercial crossroads between Bruges (in Flanders), Cologne, and France. English wool, French wines and German beer were sold in the harbor and on the market. 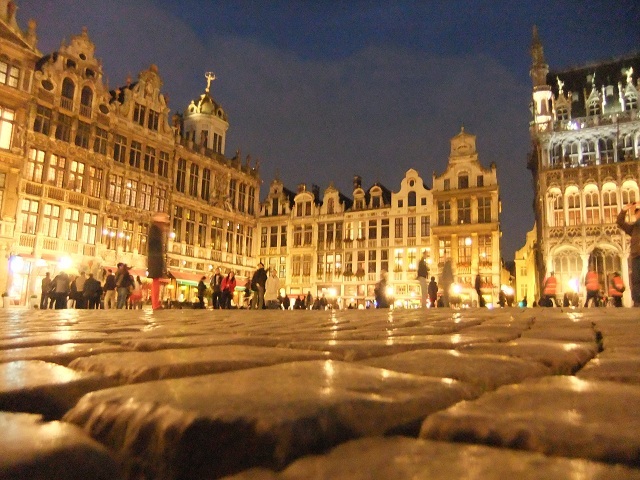 The Grand Place was breathtaking and we would visit it several times during our 6 day stay in Brussels, our strolls seeming to always end in the center of the market place. 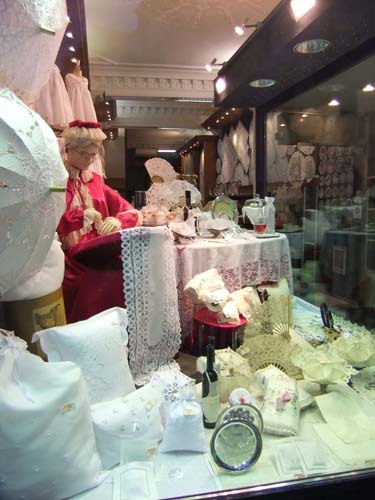 Stores lined the streets leading up to the market of lace and chocolates of which I purchased several boxes, and tapestry shops, each building connected to the next, many with flower boxes still spilling over with brightly colored flowers even for late October. Cobblestones were everywhere in this part of the city and I was thankful that I was wearing loafers on my feet. People spilled off the sidewalks and into the streets, natives and tourists blending into a moving mass, slowing traffic that was winding its way through the narrow streets. Café tables flowed from inside the bistros and onto the sidewalk under heated awnings, waiters beckoned passersby to come sit down for eats and drinks. Our first meal would be in a small bistro with a burning fireplace that looked out onto the Grand Place square. Hearty natives sat at the outside bistro tables while we huddled inside near the fireplace. From the temperature of my exposed skin, I knew I was going to have to do something about my lack of winter coat situation before the end of the week. 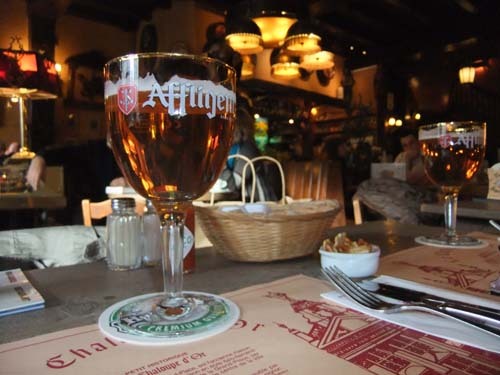 A handsome smiling waiter suggested a Belgian beer and roasted beef steak for lunch and we agreed that is what we would have. This would be the first of many meals in Belgium served with French fries; something that we found was quite common. As I absorbed my surroundings I realized that this could have been my reality if my grandfather hadn’t moved with the family to the states to live. We ate and drank and headed into the remainder of our week in Brussels. Looking forward to reading this series. My Bourgaux ancestors came from Gilly.